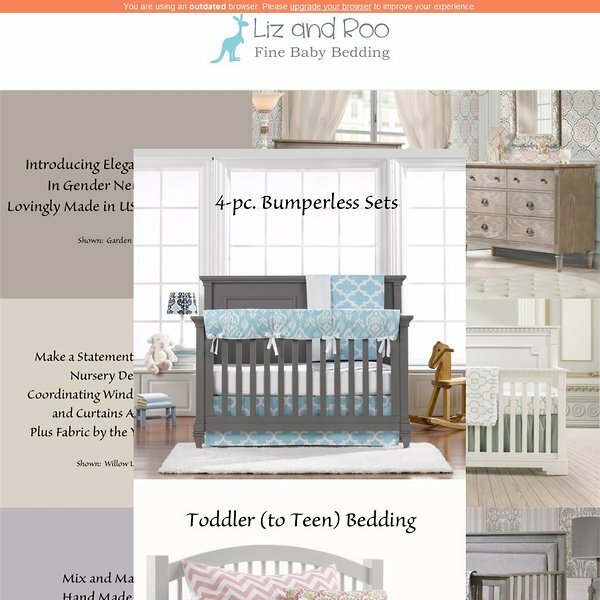 In 2012, Caroline Eager and Carol Ann Anderson founded Liz and Roo Fine Baby Bedding with a vision of creating high quality, made in USA baby bedding and accessories that emphasized safety, workmanship, and style. A division of American Made Dorm & Home, Liz and Roo pulled on Eager’s expertise as the founder of a leading retailer and manufacturer of made in USA dorm bedding. 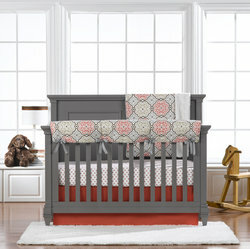 Liz and Roo’s assortment of modern and sophisticated designs are hand made by sewing artisans in North Carolina. 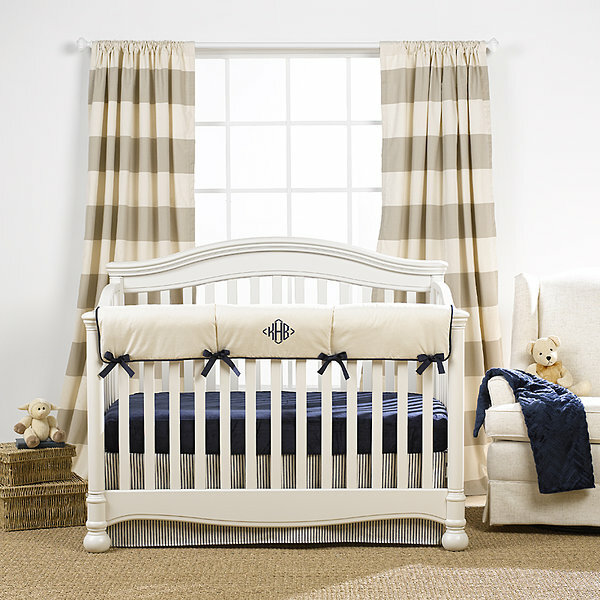 Manufacturing locally has always been of utmost importance to the brand as it enables them to closely oversee the design process and ensures the highest quality workmanship at every step. 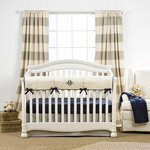 In response to the recommendation by the American Pediatric Society, Liz and Roo strongly promotes bumper-free bedding. 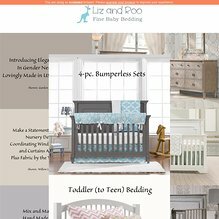 A women-owned business, Liz and Roo’s products can be found online (www.lizandroo.com) and in more than 150 specialty baby stores and juvenile furniture shops throughout the USA and Canada. 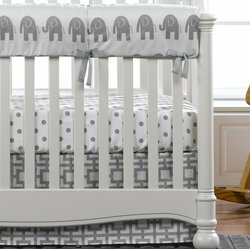 Liz and Roo Fine Baby Bedding unveiled its new “Monogram Basics Line” at the ABC Kids Expo in Las Vegas April 28-May 1. 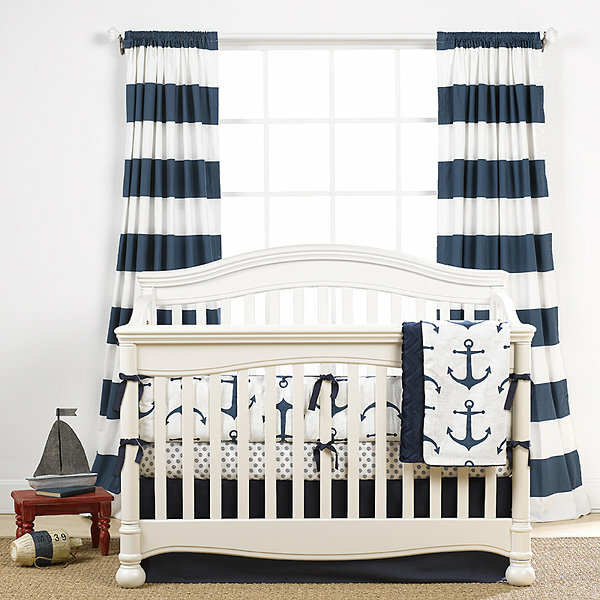 A complete line of reasonably priced “basics” in six color groupings includes everything you need in nursery bedding, including curtains, crib sheets, crib rail covers, crib bumpers, crib skirts, minky receiving blankets, baby pillow shams, and changing pads. These mix and match pieces can be combined to create a custom nursery, with many coordinating colors, including the current popular mix of coral and navy. Dozen Hot Companies Award, 2014, by Greater Louisville Inc.
$1,000 opening order minimum. Strong MAP policies. No Third Party Internet Sales. Quick Ship and Platinum Programs Available.